Vent Masters is Colorados source for whole house fans and attic ventilation. We install both roof and soffit vents to give you a balanced ventilation system. We have a large selection of modern, quiet, energy efficient fans in stock for sale to the professional contractor or the Do-It-Yourselfer. Bring in that cool night air! is critical for a comfortable home. It gives you a cooler attic in the summer and avoids moisture problems in the winter. Most of our products can be ordered online. We have the largest selection of small, round vents in Colorado. We ship whole house fans nationwide. Snowventco roof vents imported from Canada by Vent Masters. 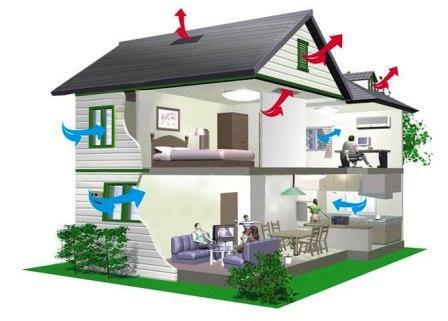 Whole house fans, also known as house fans or attic fans, take advantage of Colorados cool night air. The fans bring in cool air from open windows or doors to give you a nice cool breeze all night long. These not only cool off your home but also push the hot air out of your attic so you start the day with a cool house and a cool attic. 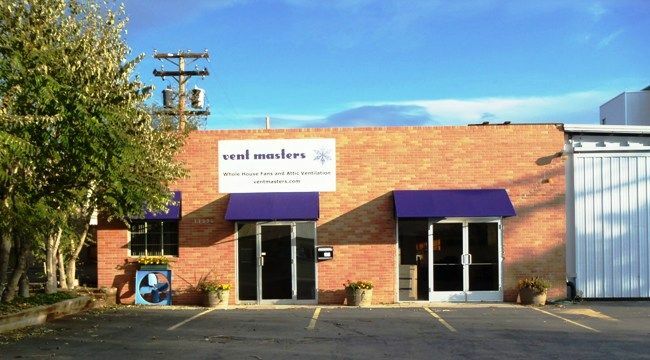 Vent Masters is Colorados source for quiet, energy efficient whole house fans. Not your Grandpa's house fan, with the big noisy propeller over your head, these modern fans are the next generation of whole house fans. With insulated dampers that close when the fan is turned off, these new whole house fans make other styles seem old fashioned. Come by our showroom so you can see and hear for yourself. We are fully stocked with QuietCool, QA Deluxe, and Cool Attic whole house fans for the home handyman or the professional installer. We have 5 operating whole house fans in our Showroom. Instead of looking at pictures on a brochure or a website, you can get a closeup look. Your can turn the fans on and off and hear the differences in the sound level. Vent Masters specializes in both attic ventilation and whole house fans. Many people will install a whole house fan but very few tradesmen are expert at attic ventilation. 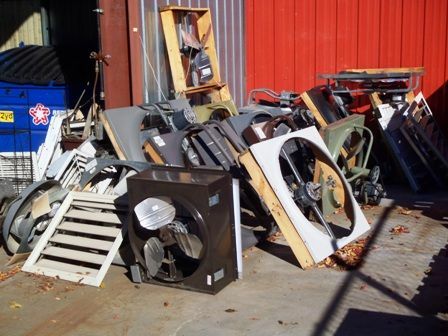 These fans will not work if you do not have enough attic ventilation. Some installers will tell you that modern building codes require attic ventilation. However, these codes did not come into effect until 1998. Other installers will add a few large dome vents on your roof. This will let the fan run better but does not do much to help your ventilation when the fan is not running. Vent Masters will maximize and balance your attic ventilation system by adding roof and/or soffit vents as needed so your attic will stay as cool as possible when the fan is not running. We do onsite estimates. You cannot see ridgevent or gable vents or soffit vents from Google Earth. We cannot do an accurate ventilation estimate sitting at our desk. We do not list testimonials. They are too easy to fake. For real reviews, check us out on Facebook or Angies List or Yelp or the BBB or any other social media site. Click on the icons below to go to their website. We like to keep a good supply of fans and attic vents on hand. 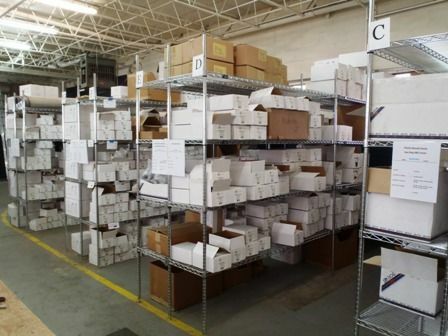 On this side of the warehouse we keep the small round vents we sell on our online stores. at Vent Masters. These are old fashioned fans we have replaced recently with QuietCool fans. 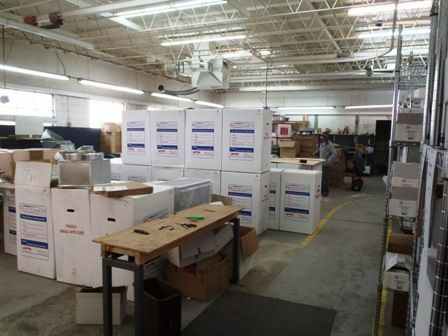 These will be disassembled and recycled. Helping to cool Colorado since 2003. Copyright	All rights reserved by Vent Masters Inc.